Two of Scotland’s leading disability charities are joining together to protect and grow frontline social care services across Scotland. ENABLE Scotland and Sense Scotland have launched an innovative Group structure, thought to be the first of its kind in the charity sector in Scotland, in order to accelerate change in improving the lives of disabled people and the dedicated staff who care for them. Extensive independent analysis estimates that by working in partnership, the charities will deliver substantial savings and efficiencies available to re-invest in frontline services. The collaboration will take up to a year to fully implement, with staff and wider stakeholder consultations expected. The venture will see both charities share innovation, property and resources in an overarching Group structure to enable them to reach even more disabled people throughout Scotland. Both ENABLE Scotland and Sense Scotland will retain their individual identities and relationships with families, disabled people and supporters, as well as their CEOs. “ENABLE Scotland and Sense Scotland are joining together to further boost the quality of care and help for more disabled people. “Our shared vision is delivering the support needed for disabled people to live the lives they choose, in their own homes and local communities. “By bringing two strong charities together, we will accelerate change and improvement for disabled people, and for the dedicated staff who care for them. “Together, ENABLE Scotland and Sense Scotland will extend our reach in local communities. This means we will be able to help more people, with the person-centred care they deserve from staff they trust and can rely on. “By joining together, we are giving both organisations elasticity and stretch to focus on what really matters to disabled people and their families. We are committed to delivering the best self-directed support available and releasing money wherever possible to the front line. 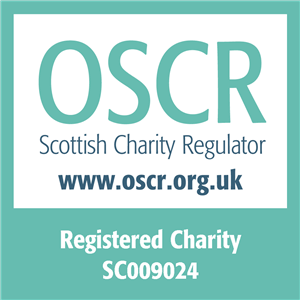 The charities have described the move as a proactive and innovative response to the challenging conditions facing families and organisations operating in the social care sector in Scotland. According to Kerr and Shearer, approaches from other organisations who may wish to join the Group are being welcomed and would be seen as an opportunity to further strengthen the Group’s ability to deliver quality frontline support to those who need it. Under the Group structure, all frontline jobs will be protected and support will be offered to a small minority of affected back office staff to explore alternative career options across both organisations. ENABLE Scotland and Sense Scotland are working with their recognised Trade Unions during the process. 1. Interviews and images available on request. Contact: Sabina Kadic-Mackenzie, Associate Partner, Charlotte Street Partners – 07827 887916.